Kiefer Sutherland’s President Tom Kirkman won’t be stepping down any time soon. Although Designated Survivor was canceled by ABC last spring, the series has found new life on Netflix. Via The Wrap, Netflix has renewed Designated Survivor for a shortened ten episode third season. That’s less than half of the episodes that were ordered for the first two seasons on ABC. Netflix also acquired the streaming rights for the series from Hulu. Under the deal, ABC Studios will no longer be involved with the show. Neal Baer, a veteran of Law & Order and ER, was named as the new showrunner for the third season. Baer will be the fifth showrunner since the series premiered in 2016. Natascha McElhone, Adan Canto, Italia Ricci, LaMonica Garrett, Tanner Buchanan;Kal Penn, and Maggie Q co-star in the series. Designated Survivor will resume production later this year, with a 2019 debut.planned for season 3. 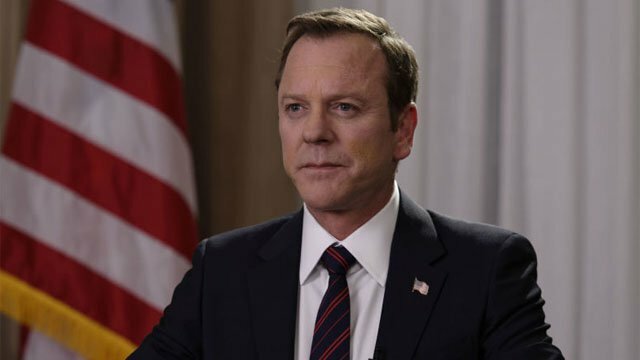 Are you excited to see Designated Survivor return for a new season? What do you want to see in season 3? Share your thoughts and theories in the comment section below! The post Netflix Revives Designated Survivor For a Third Season appeared first on ComingSoon.net.